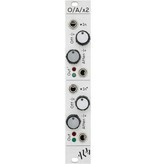 ‘O/A/x2' is a dual channel attenuverter with each channel also including a bipolar voltage offset and LED monitoring. 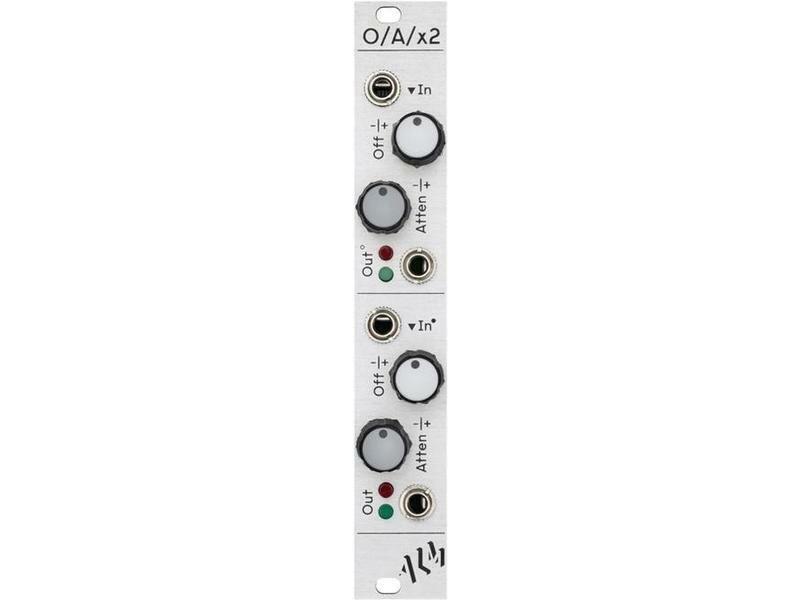 The module is primarily intended for fine grain flexible ‘editing' of control signals (i.e changing the phase, level and DC offset of an LFO signal) but also has uses with audio signals such as attenuation, inversion and mixing. • Attenuate and invert input signals. • Additional +/- 8v DC Offset controls . • A jumper setting allows for the module to also be used as a simple mixer.